Is Yakult Good for Candida? - YeastInfection.Org by Eric Bakker N.D.
You are here: Home / Diet And Yeast Infection / Is Yakult Good for Candida? Don’t let this probiotic fool you. While the fermented probiotic drink yakult seems like it would be helpful to combat candida by repopulating the GI tract with beneficial bacteria, the added sugar in Yakult outweighs any benefit. Eric is not a big fan of yakult either. Yakult is a fermented probiotic dairy drink that was created in Japan in 1935 by Dr. Minoru Shirota. It mainly contains the bacterium Bifidobacteria breve and the proprietary bacterium Lactobacillus casei Shirota (LcS). Yakult is growing in popularity around the world and is now sold in 31 countries, with its newest factory located in the United States. Yakult contains about 8 billion CFUs (colony forming units, the standard measurement of strength of a probiotic) so it is a relatively strong probiotic. However, for many chronic conditions, supplementation with 50-100 billion CFUs over a 6-month or even one-year period may be necessary to fully restore the proper GI bacteria balance. 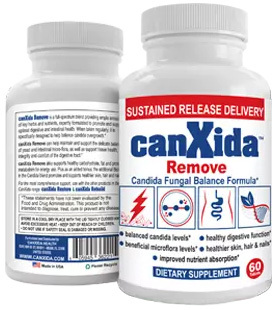 Canxida Restore is your best option when it comes to probiotics for candida. The main reason why yakult would not be beneficial for candida, and in fact, may even exacerbate the condition, is the relatively high sugar content. We have talked a lot about candida and sugar connection, we have even written a comprehensive article on the topic which you can read. Yakult comes in 2.7 oz bottles and contains 11 grams of sugar in that small container. Of the six ingredients in yakult, two of them are sugar, added to make the drink more palatable. Yakult recommends drinking a few bottles a day so if you drank 8 oz of Yakult, you would be consuming more sugar than an equivalent 8 oz can of Coke. There are hundreds of other probiotic drinks and supplements that don’t have added sugar so it is better to opt for one of those instead in our case we recommend canxida restore. While it won’t help with candida, yakult may offer some benefit for other chronic conditions that aren’t as sugar sensitive. For example, studies by Ishikawa and Kato found that people with ulcerative colitis (an autoimmune disease of the colon) who ingested approximately one serving of yakult a day had higher rates of remission than those in the placebo group and had no adverse effects. Another study by Gleeson demonstrated that daily consumption of yakult decreased the frequency of respiratory infections in athletes and appeared to enhance the body’s immune response and defense. In addition, a study by Wada found that children undergoing chemotherapy who consumed Yakult daily had a decreased need for antibiotics as well as lower fevers. Another benefit from consuming yakult is its effect on biotin. Biotin (also known as vitamin H) comes from several food sources but is mainly a by-product of our intestinal bacteria. Biotin deficiency is associated with dry skin, insomnia, depression, and lethargy. In a study by Hayakawa, a patient that was deficient in biotin consumed yakult regularly and had a noticeable increase in her biotin levels as well as some improvement in her symptoms. In order for probiotics to be best absorbed, it is recommended to take them with food, since it reduces the amount of acid in the stomach, allowing more bacteria to survive and be transported to the small and large intestine. Yogurt is a food that contains probiotics so it is fine to be consumed on its own. However, since yakult comes in small containers, eating a snack or small meal with the probiotic drink, would ensure more bacteria survive the acidic environment of the stomach to actually repopulate the intestines. While there are no major side effects associated with consuming yakult, those with lactose intolerance may want to avoid consuming this drink since it does contain skim milk powder. And as discussed above, due to the relatively higher sugar content, those with diabetes or pre-diabetes should consult their doctor if they are considering consuming yakult on a regular basis due to its potential effect on blood sugar levels. A less common use for yakult is in enemas to help repopulate the large intestine with beneficial bacteria. Surprisingly, yogurt enemas have been used for over hundreds of years for various GI complaints (for more on enema ideas make sure to read our comprehensive enema solutions for candida it covers everything you need to know about doing proper enema). While yakult could be a replacement for the unsweetened yogurt in yogurt enemas, a better alternative would be to use a probiotic powder in water. So even though yakult might taste delicious, an unsweetened yogurt, kefir, or probiotic supplement would be more beneficial in supporting gut bacteria for those with candida. What is your experience with yakult? Share and comment below.